Top Ten Tuesdays (TTT) is a weekly event now hosted by That Artsy Reader Girl. This week's TTT is: Audio freebie. For my audio freebie, lets talk podcasts. I love listening to podcasts, especially ones about books. I thought I'd share some bookish podcasts that I enjoy and a few I want to check out/have been recommended to me. 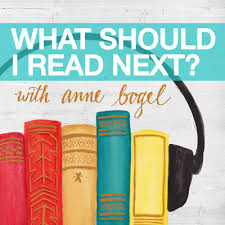 On What Should I Read Next, blogger/writer Anne Bogel speaks with a guest where they tell her three books they love, one book they hate and she recommends them 3 books to read next. I love the variety of readers featured, and I love listening to people talk about their reading lives and seeing what Anne is going to recommend. 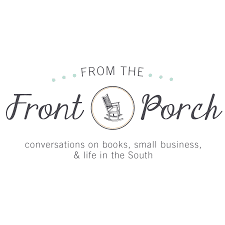 One of the hosts of From the Front Porch is the owner of an independent bookstore in Thomasville, Georgia called The Bookshelf. 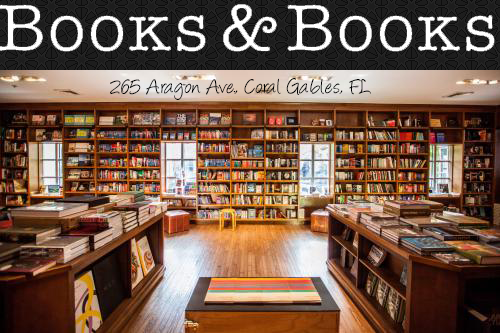 I love hearing a different perspective about what books people are picking up and reading, bestsellers at the independent bookstore, and what independent booksellers are recommending. There is mostly talk about upcoming books, but there is also discussions on backlist books as well. No Thanks We're Booked is hosted by friends, Katie and Mollie. I admit that I haven't listened to many of their episodes yet, but I really enjoy the ones I've checked out so far. Katie and Mollie pick a topic and talk about it, through life and through books. It gives that level to books that we all love: when we see real life through our reading life. 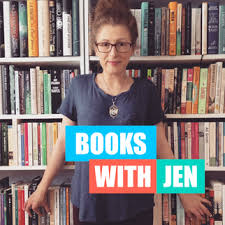 Books with Jen is hosted by Jen who is based in the U.K. I love this, because often she talks about books that I have never heard of, but sound so good. Jen is a writer as well, with some great books out. She reads and recommends all different types of books, and I always hear about one that I must check out right away. This podcast is for anyone, but focuses in on children's literature. 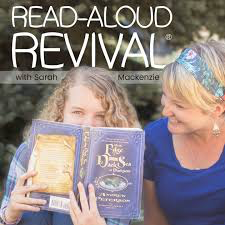 Sarah hosts Read Aloud Revival and is a homeschooling mom. She recommends books to help engage your kids, books to read aloud with your kiddos and books that your kids may enjoy (or anyone who enjoys children's literature!). I've found some really great books through her podcast, and as a homeschooling mom myself, I love all hearing all the tips and tricks for reading and finding great books along with the benefits of literature. 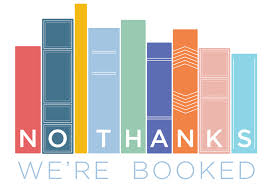 Book Riot is behind All the Books! There are usually two episodes a week, on Tuesdays and Thursdays. Tuesday features new books releasing during the current week and Thursday talks about backlist books that the hosts have been enjoying lately. I love that there's a mix of both new and backlist, and it's a great place to find out about new releases. 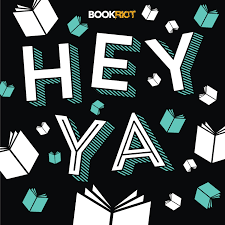 Book Riot is behind Hey YA as well, which is hosted by Eric and Kelly. 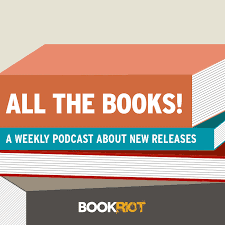 This podcast covers a variety of topics all centered around YA books. If you enjoy young adult literature, this is the podcast for you! 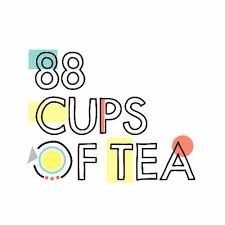 88 Cups of Tea is hosted by Yin Chang, and each week features a new writer. I admit, that I haven't checked out an episode yet, but this one has been recommended a few times by fellow owl, Ilena. This podcast focuses on writing and the writing community. Ilena has raved about this podcast, which is a great reason to check it out! 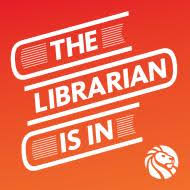 The Librarian Is In is hosted by two New York Public Librarians, Gwen and Frank. This podcast is fairly new to me, but from what I've heard thus far, I've enjoyed hearing book talk, and all about library life in New York city. 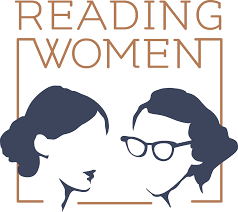 Kendra and Autumn host Reading Women, where they talk about books all written by women. I haven't listened to this one yet, but I've heard it recommended by people with great taste, and other hosts of podcasts that I enjoy. I'm looking forward to giving this one a listen! Do you have any bookish podcasts or other podcasts that you recommend? Nice! I've never listened to a podcast myself. I don't think I'd have the attention span for it, which is partly why I've never listened to an audiobook either!